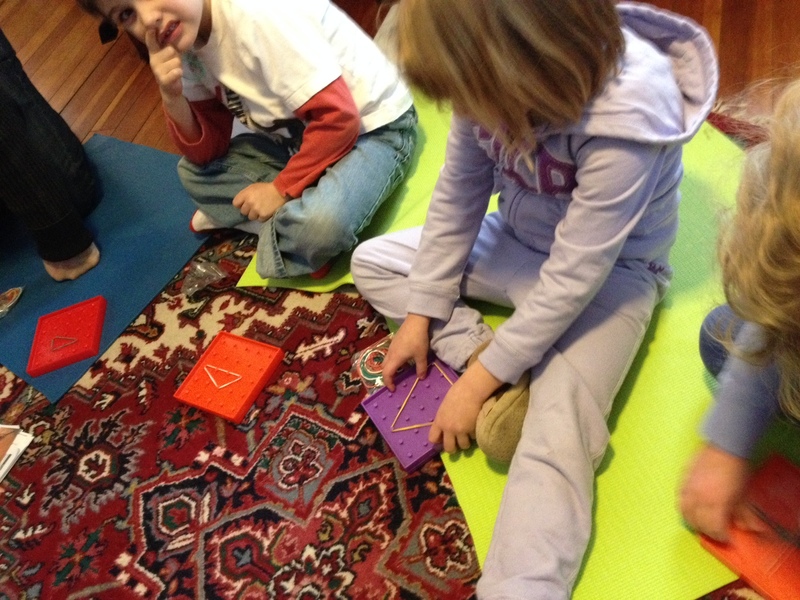 Last Sunday we also played with geoboards. 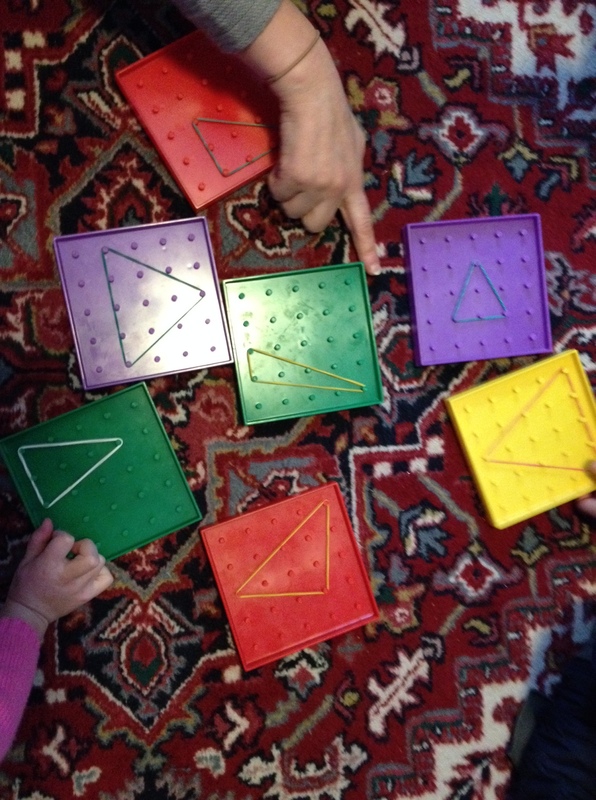 We briefly discussed some terminology such as square, rectangle, parallelogram, trapezoid, convex… The first two were of course familiar terms, and a few kids had heard of a trapezoid but many would struggle to define them if asked to describe the difference. Some kids would also make comments such as “I made the largest quadrilateral possible” or “I made the smallest one”. We did not yet discuss the concept of area with them, but I think that we will in the near future. We then moved on to slightly more challenging assignments. We would tell the kids to make a figure with exactly one interior point, or exactly five points on the boundary. For the older kids we eventually would put conditions on both interior and boundary points. 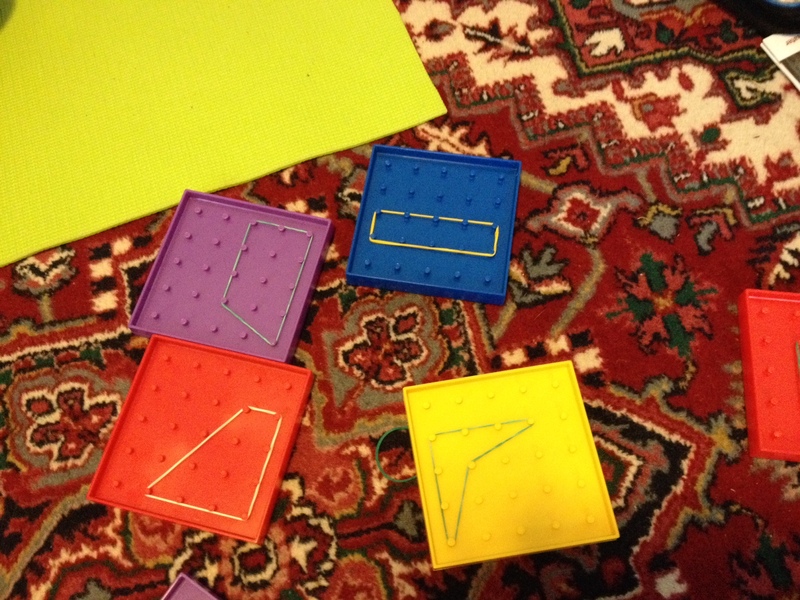 Not surprisingly, geoboards are a great tool for introducing and exploring basic geometry concepts. In the future, we also hope to use them to continue with the theme of geometry of numbers. This entry was posted in Fun math, Russian school and tagged class, Fun math class, geometry on February 1, 2014 by Golden Key Russian School.